Nobody likes a leaky roof, especially when it comes to spending money on fixing it. But if you don’t fix the leak, it can permanently damage the structure of the roof. There are various reasons for why roofs leak. Sometimes they are internally caused and other times they are externally caused. Fortunately, it is not hard to find a handyman at Men Behaving Handy to fix a leaky roof. You just need to be knowledgeable in a couple of things first. Below are the 5 main reasons why roofs end up vulnerable to leaking water. When there is bad weather outside, the roof is the first thing on your house to get hit. If there are heavy rains and winds, your roof could get one or more holes in it. You might not recognize these holes immediately because they are difficult to spot. You could have a hole in your roof for years without noticing it. It could just be a small hole that you would need to get up close to see. But even a small hole can cause a lot of damage to your roof structure and house underneath. Before forcing yourself to deal with this much expense, it is cheaper to just cover your holes as soon as they are detected. You will know when you have holes because water will get into your home from the ceiling, even if it is a little bit of water. In this case, hire a professional roofer to repair the roof. As a roof ages, its material starts to diminish. This means it is more susceptible to water leaks. 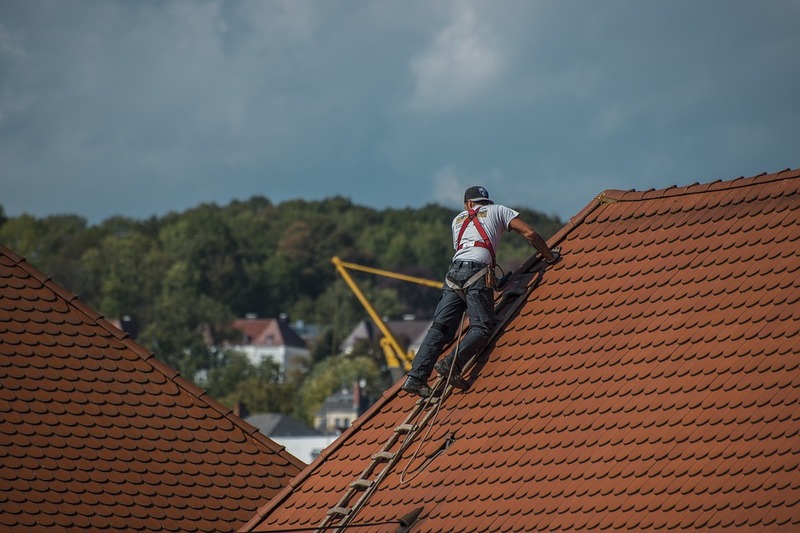 When you consider all the years that your roof has been exposed to repairs, bad weather, changing temperatures, and other forms of damage, it is no wonder why roofs eventually wear down. If you want to save your home, you need to restore your roof before bad weather or another external force causes it damage. When rain pours down onto an old roof like this, the rainwater will find a way to seep through the cracks, holes, and degraded material. The only thing you can do is get a new roof built because you could get leaks in virtually any area of your roof if you don’t. For a new roof installation, you definitely need to hire a professional roofer for this. Don’t even attempt to do it yourself. If there was recently a rainstorm or windstorm in your environment, you might find a shingle from your roof lying on the ground around your house. You’ll need to replace that shingle immediately because the next time it rains, it will likely cause a leak in your home. The good news is that replacing shingles is an easy job that you can do yourself. Just purchase a new shingle at your local home improvement store and then slip it into the area of your roof where the other one fell out. Now nail that shingle into your roof as hard as you can. If any of the other shingles on your roof have cracks or chips in them, you should replace those shingles too. Do not procrastinate when it comes to replacing shingles. Otherwise, it could cost you even more money down the road. Your house might have a roof structure that is rather complex and unusual. Unique architectural designs like these might have numerous valleys and slopes in the roof. While this might look appealing on the outside, it also requires the roof structure to be maintained more often. It is easier to not recognize clogged gutters or missing shingles on these roofs too. If the geographical location where you live is susceptible to rain and snowy weather, then it will be easier for water to accumulate on a roof that is complex. The more water that builds up on the roof, the more pressure that it puts on the structure. This will eventually cause the roof to get weaker by the day. It is better to get a standard roof because it is easier and cheaper to repair. Clogged gutters will eventually cause leakage no matter what kind of roof design you have. Outside debris like leaves will often clog gutters. If they get too clogged, rainwater won’t be able to leave the roof and it will just keep building up there. Like previously mentioned, this puts pressure on the roof and increases the chances of leakage. It is a good idea to check out your roof after it rains. Make sure the gutters stay unclogged. Note: It is recommended to get your roof professionally inspected every 180 days. This will ensure that you don’t miss anything.